Are you big on tea? Yeah, me either. But I love the tea cups, and pots and all the cute little sayings. 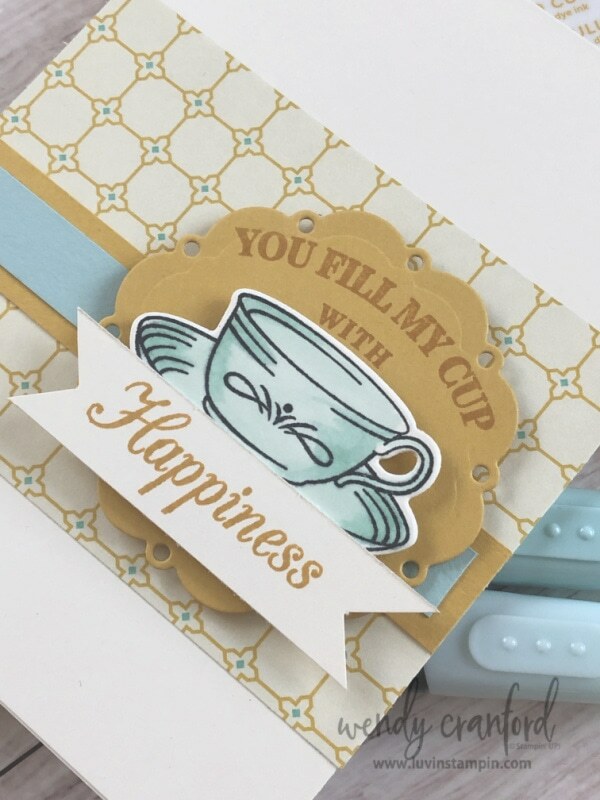 So it’s one of those things where I just have to make tea related cards even though I don’t drink tea. I was raised on tea. I mean literally, my Mom put it in my sippy cup. Southern sweet tea is all my family drank for years. I fondly remember it being in a stainless steel pitcher that sat on the counter at Grandma and Grandpa’s house and they drank it with every single meal. Join me today at 3pm PST on Facebook Live to reminisce and make a card. Today’s card is simple and sweet. Just like the tea and the memories surrounding it. I have a video on my You Tube channel from some time back. I am sharing it here again because it’s so precious and I am SO happy I took the video. Gramma is with Jesus now, but Papa is still here and trying to be strong every day. Thank you for sharing the video. That’s great you have that video. I am sorry your Gramma is gone but I am sure you have wonderful memories.